Why Rent – When you can OWN? You have excellent credit and a stable source of income yet have not accumulated the required down payment – MortgageDirect2u has the perfect mortgage solution for you! For properties with no basement, the minimum square footage is 1,000 Sq. Ft.
120 Day Rate Guarantee is available with .25 bps increment. This mortgage option is for homebuyers that have a minimum Beacon sore of 650 and an excellent credit history but have not yet saved the required down payment. It will not be approved for prior bankrupts or heavily indebted with no assets and no evidence that they can save. 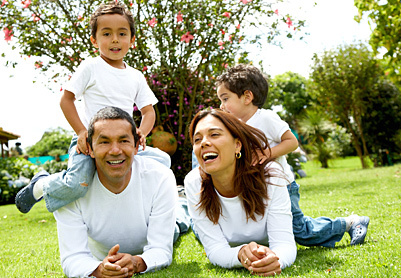 Non-residing co-borrowers must be an immediate family member and on Title. For portability and refinance, the premium is the lesser of Premium on Increase to Loan Amount or the Premium on Total Loan Amount. In the case of portability, a premium credit may be available under certain conditions. * Premiums shown with an “*” do not apply for refinance. For portability the maximum LTV ratio is 90%, but CMHC may consider higher LTV ratios when the new ratio is equal to or less than the original LTV. For portability, the premium is higher for non-traditional down payments on Increase to Loan Amount. ** For conversion from Self-Employed with traditional 3rd party income validation to Self Employed without traditional 3rd party income validation, the premium is the lesser of: a) the Premium on Total Loan Amount or; b) the outstanding balance multiplied by a 1.5% premium plus the Premium on Increase to Loan Amount. *** Down Payment Requirements – Traditional sources of down payment include: Applicant’s savings, RRSP withdrawal, funds borrowed against proven assets, sweat equity (‹50% of min.required equity), land unencumbered, proceeds from sale of another property, non-repayable gift from immediate relative, equity grant (non-repayable grant from federal, provincial or municipal agency). Non-traditional sources of down payment include: Any source that is arm’s length to and not tied to the purchase or sale of the property, such as borrowed funds, gifts, 100% sweat equity, lender cash back incentives. † The amortization cannot exceed 30 years for mortgage loan-to-value ratios › 80%. Premiums in Ontario and Quebec are subject to provincial sales tax. The provincial sales tax cannot be added to the loan amount.